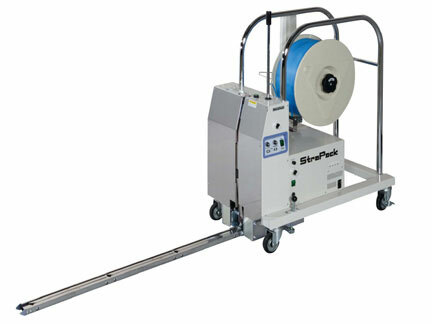 Pallet Strapping Machines are an economical way to unitize your product to your pallet. Pallet wrapping does not always keep the load unitized. Pallet strapping ensures that your load will stay on its skid, even if the truck or other mode of transportation brakes suddenly. Manual Pallet Strapping is very time consuming. It can take between 2 and 5 minutes for each strap when strapping by hand. On average, these machines can cut that time by 60-90%.